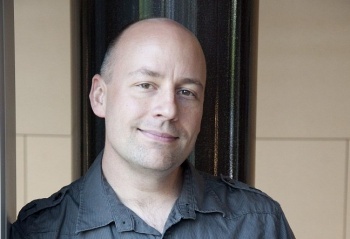 Mike Capps responds to Valve's new-hire employee handbook. During a recent Gamasutra interview, Epic Games President Mike Capps rehashed old arguments about long working hours, saying that a certain level of management control is not only desirable, but beneficial to staff. The talks were in response to the publication of Valve's employee handbook, which seemed to champion a different style of employer-employee management. "The bigger we get as a company," said Capps, "the harder it is for everyone here to feel comfy just walking into my office and telling me what I'm doing wrong." This, Capps feels, is where hierarchy helps solve a very real problem. "If there's no hierarchy and you're just two hundred people standing in a building, who do you talk to about what's making you uncomfortable who can help you to fix it? You need to know who to call on and where the specializations are internally." Capps also claimed that Epic Games is "certainly closer to Valve's self-organizing process," but said that hierarchy is still a means of achieving "efficiency as well as creativity" while helping "individuals [figure] out what they need to be successful." Capps may have a point. Creative free-wheeling has its uses, but without some kind of structure a larger company will struggle. Valve's system works for Valve; would it work elsewhere?